This is the description given to the subject of locally produced film, Action Kommandant. 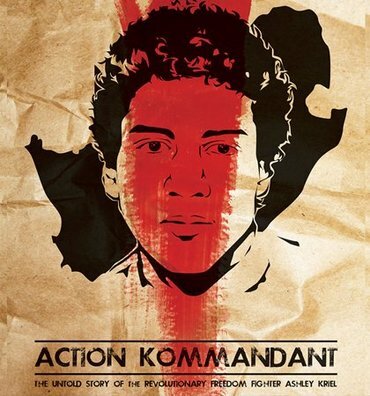 The film, which is currently screening at the Durban International Film Festival, follows the life of anti-apartheid activist Ashley Kriel who died at the age of 20 in 1987. The documentary features accounts of Kriel based on interviews with family and fellow activists. Director and producer Nadine Cloete says her first connection with forming a new narrative about the freedom struggle figure was after seeing archived footage. “I had heard his name before but after seeing the footage, it inspired me to find out more. While researching the story – the narrative then developed naturally,” she states. Cloete – who is passionate about social activism – says it’s important to tell positive local stories. “The youth and people of colour get represented in certain ways. My films have always looked at issues of identity. That’s what I’m passionate about. The Ashley Kriel story also speaks to that,” she explains. An Audience Award for best SA film and a world premiere at the Seattle International Film Festival are accolades now mentioned alongside the documentary. Cloete has spoken to Newswatch about the significance of African stories being told on international platforms. “The Seattle International Film Festival is one of those festivals that have a special African content section so they make it a point to have African films at their festival. I could watch a film from Senegal, for example. “This kind of platform gives you a clearer understanding of what’s going in that country especially when made by someone from that place. It also challenges stereotypes about the African continent,” she said. The next and final viewing will be at the Playhouse at 2:15pm tomorrow.